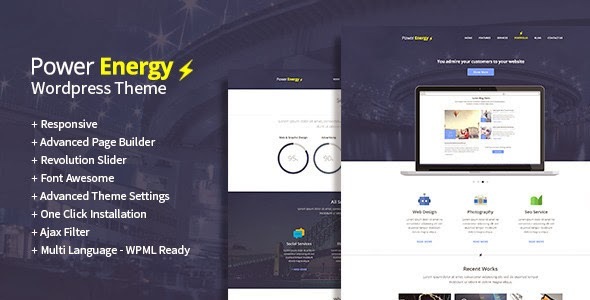 PowerEnergy is WP + Html5 + CSS3 responsive Theme and works fine in all major browsers and IE from version 9. It’s very suitable for every business and also for individual portfolio pages. It’s powered by jQuery and you’ll find nice and discreet interactivity. The code is clearly written and you will find comments for each section parts. Item Reviewed: Responsive WP + Html5 + CSS3 Multipurpose Premium Theme 9 out of 10 based on 10 ratings. 9 user reviews.